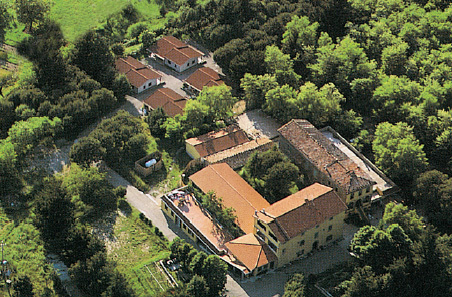 We invite you to meet the south of Tuscany. Our country is particularity drawn to satisfy those people who love the nature, the art, the archaeology, the sport, the traditional cookery and the good wine. All around us there are old roads and paths to go on foot, on bicycle or on horse-back into chestnut - and beech-woods with lovely views. Renowned medieval towns and old villages, Abbeys and castles make a ring round us with Etruscan necropolis, warm springs, famous termal baths and and a very beautiful Faunistic Park. WE ARE EXPECTING YOU TO CASTELDELPIANO! Thickly wooded. Recreation and living-rooms, play and sporting area. Furnished and heated apartments and Small Villas with kitchen, bathroom and veranda.